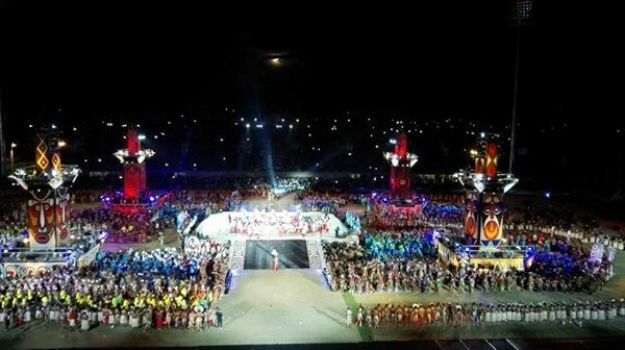 After years of preparation by Papua New Guinea and hundreds of regional athletes, the 15th Pacific Games opening ceremony took place in the nation’s capital, Port Moresby last night. The ceremony’s theme is tied to the local region’s hiri trade, an important cultural influence. A cast of 3,000 and almost 300 ceremony staff took part in the opening of the event. Pacific Games will continue until the 18th of July. Meanwhile in today’s competition, Gold medals will be up for grab in the sport of Weightlifting and Triathlon. Fiji has a good chance of winning medals in both the sports. The Vodafone Fiji Under 23 football side also plays it’s second match against Federated States of Micronesia at mid day today.